Don't just do the neutral cost or downshift until you know your vehicle. If you get a cheap bluetooth to OBDII adapter on say Amazon. 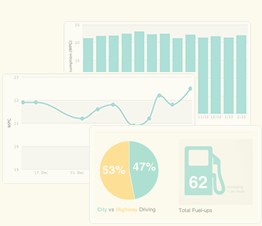 You can use an app like Torque to see how your car works. Both my girlfriends and I have small cars one 1998 the other 2006 that both don't have trailing throttle (the injectors are not shut off when intake is under high vacuum) even though they are both well into the years you would guess they have such. This setup will also give you a way to add instant and average MPG, so you can develop efficient habit that fit that car. Then there are a ton of other things like code reading which also come with it.